Children with Autism spectrum disorders (ASDs) appear to be at risk for zinc (Zn) deficiency, copper (Cu) toxicity, have often low Zn/Cu ratio, and often disturbed metallothionein (MT) system functioning. The evidence presented in this paper suggests that providing Zn to autistic children may be an important component of a treatment protocol, especially in children with Zn deficiency. It is important to monitor and follow the values for both Cu and Zn together during Zn therapy, because these two trace elements are both antagonists in function, and essential for living cells. 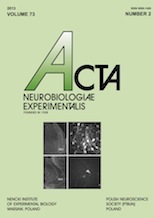 The review article by Geir Bjørklund is published in Acta Neurobiologiae Experimentalis (2013; 73 (2): 225–236). 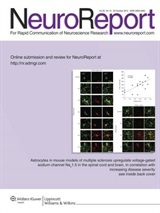 This peer-reviewed journal is published by Nencki Institute of Experimental Biology in Warsaw, Poland. Bjørklund is founder and president of Council for Nutritional and Environmental Medicine (CONEM). Autism spectrum disorders (ASDs) are a group of developmental disabilities that can cause significant social, communication and behavioral challenges. Several studies have suggested a disturbance in the copper (Cu) and zinc (Zn) metabolism in ASDs. Zinc deficiency, excess Cu levels, and low Zn/Cu ratio are common in children diagnosed with an ASD. The literature also suggests that mercury accumulation may occur as a cause or consequence of metallothionein (MT) dysfunction in children diagnosed with an ASD, which may be one of the causes of Zn deficiency. MTs are proteins with important functions in metal metabolism and protection. Zinc and Cu bind to and participate in the control of the synthesis of MT proteins. Studies indicate that the GABAergic system may be involved in ASDs, and that Zn and Cu may play a role in this system.